An early start to the journey to the studio (7.21am) but with 12 singers to perform tonight, I expect rehearsals last all day. The Apollo is the theatre where Lucy works as an usherette. Looks like they've finally realised she can sing ! Yay ! Lucy is through. she was brilliant tonight and well done Will for letting her do her stuff..
and for putting her straight through, because we couldn't vote from Ireland, whew ! The Irish Women's Rugby team have just won the RBS 6 Nations Cup beating Scotland 3 points - Ireland 73 points. But I think I am most pleased for our beautiful auburn haired singing angel. And Ireland's men retained the Six Nations Championship after Mr Robshaw & Co. came up 6 points short against France at Twickenham. But yes, great news for Lucy getting a "fast pass" into the semis from Will which saved her UK fans from making a phone call ! All 3 of Will's team are in the semi-finals: Lucy, Sheena and Vikesh. Since we've had HD versions of Lucy's other performances, we may as well see her blind audition. I think Comet will enjoy this tweet ! Some background on Lucy from the Irish press. I get that Ireland is not part of the UK but if they can vote on Eurovision why can't they vote on "The Voice?" Surely it is not beyond the wit of man to organise something with the Irish telecom companies ? I have sought the help of a man with vast experience of the Irish broadcasting industry who has a lifetime interest in opera. 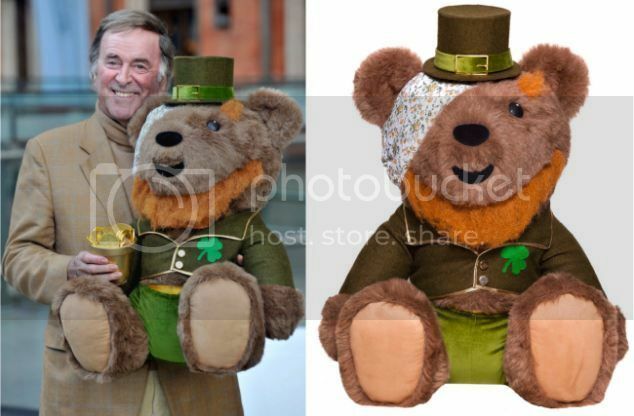 @terry_wogan Terry, it's SO UNFAIR Ireland can't vote for Lucy on The Voice. Please bring your considerable influence to bear in this matter. The Tweet has now become mightier than the pen which became mightier than the sword. It is quite incredible that anyone can send a message to some of the most powerful and influential people in the world and that everyone else can observe their response to that message.